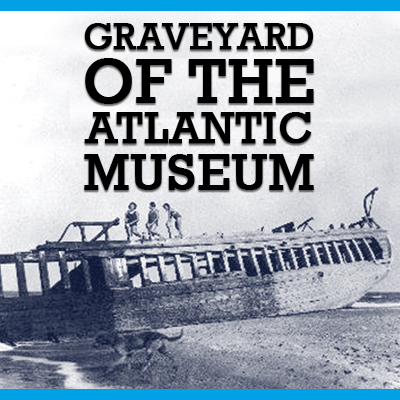 More than just a collection of artifacts, the Graveyard of the Atlantic Museum is a premier cultural attraction for the Atlantic Seaboard and one of the finest, most innovative maritime facilities in the nation. All along the Outer Banks lie shipwrecks associated with this rich heritage. The Graveyard of the Atlantic Museum is a public, non-profit, educational institution, and is part of the North Carolina Maritime Museum System. The museum features year round programming for people of all ages.